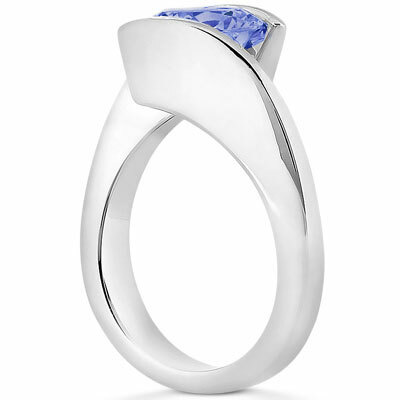 A stunning modern gemstone and a unique setting add up to a striking look in this tension set tanzanite ring in 14K white gold. The 6.5mm round tanzanite that adorns this contemporary solitaire ring provides alluring purplish-blue sparkle that's unlike that of any other gem. A shining tension setting hugs this stone on both the top and the bottom, seeming to hold it in midair. A simple, shining band of 14K white gold gives a nod to tradition while complementing this up-to-the-minute piece. A 6.5mm tanzanite is tension set in this sophisticated 14K white gold setting. 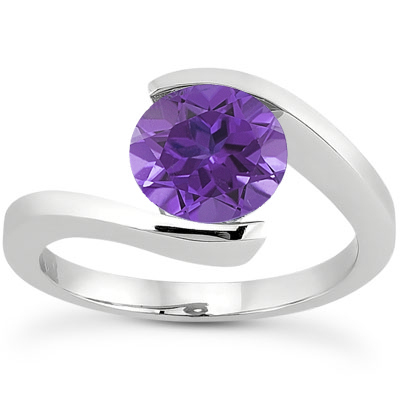 We guarantee our Tension Set Tanzanite Ring to be high quality, authentic jewelry, as described above.